April 8, 2015 – PBS and the BBC Arena today announced AMERICAN EPIC, the extraordinary story of the trailblazing era when country-wide, the music of ordinary Americans was recorded for the very first time. The three-part historical documentary and feature-length film, showcasing contemporary artists in recording sessions, will air in the U.S. and U.K. this fall. Executive Produced by T Bone Burnett, Robert Redford and Jack White, AMERICAN EPIC takes us on a journey across time to the birth of modern music, when the musical strands of a diverse nation first combined, sparking a cultural renaissance that forever transformed the future of music and the world. In addition to the broadcast, AMERICAN EPIC will include companion music releases. Columbia Records will release contemporary performances from The American Epic Series. Sony Music’s Legacy Recordings will release a companion series of archival recordings, featuring groundbreaking audio restoration of 1920s and 1930s recordings by Lo-Max Films, Nick Bergh and Peter Henderson. Third Man Records will release a deluxe box of vinyl records. Two British filmmakers, Bernard MacMahon and Allison McGourty, have pieced together this extraordinary story set in the late 1920s when record company talent scouts toured America with a recording machine and for the first time captured the raw expression of an emerging culture. It democratized music and gave a voice to the poorest in the nation. 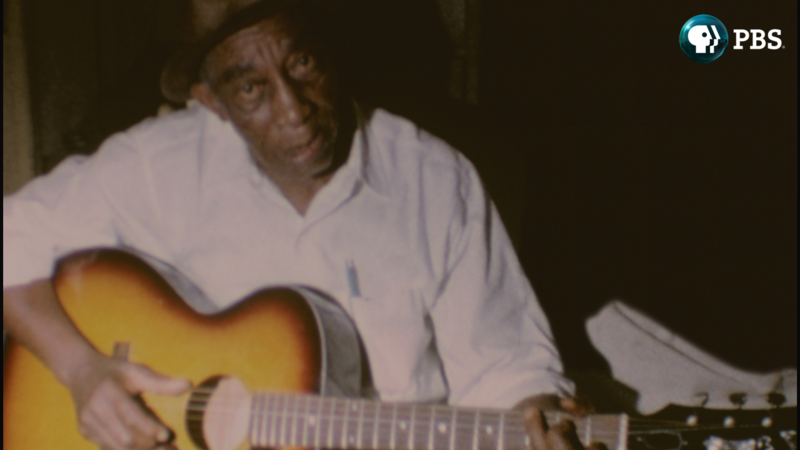 The filmmakers follow the recording machine’s trail across the United States to rediscover the families whose recordings would lead to the development of blues, country, gospel, Hawaiian, Cajun and folk music – without which there would be no rock, pop, R&B or hip hop today. Over three episodes the remarkable lives of these seminal musicians are revealed through previously unseen film footage, unpublished photographs, and exclusive interviews with some of the last living witnesses to that era, when the musical strands of a diverse nation first emerged, sparking a cultural revolution whose reverberations are felt to this day. For THE AMERICAN EPIC SESSIONS the filmmakers have re-assembled the recording machine that allowed America to first hear itself. They have replicated the atmosphere of America’s seminal 1920s field recordings down to the smallest detail, with top American artists recording straight to wax, using all the original microphones, amplifiers, and other equipment from that era. This is the first time that any performer has been able to use this machinery for over 80 years. Led by producers Jack White and T Bone Burnett, today's legends are given a once-in-a-lifetime chance to relive the experience of the founding mothers and fathers, their idols, and remake the music that changed America and changed the world. THE AMERICAN EPIC SESSIONS features performances by Alabama Shakes, The Americans, The Avett Brothers, Beck, Frank Fairfield, Ana Gabriel, Rhiannon Giddens, Merle Haggard, Bobby Ingano, Elton John, Auntie Geri Kuhia, Pokey LaFarge, Bettye LaVette, Los Lobos, Lost Bayou Ramblers, Taj Mahal, Steve Martin & Edie Brickell, Fred Martin and The Levite Camp, Ashley Monroe, Nas, Willie Nelson, Charlie Kaleo Oyama, Blind Boy Paxton, Raphael Saadiq, and Jack White. “In AMERICAN EPIC we can examine how important the fact is that when phonograph records were invented, for the first time ever, women, minorities, poor rural men and even children were given the opportunity to say whatever they wanted in song, for the whole world to hear, shockingly without much censorship,” said Jack White, an Executive Producer. “What they were allowed to say on phonograph recordings, they were not allowed to speak in public or in person. That is an astounding thought." Funding for AMERICAN EPIC is made possible by generous support from Anne Ray Charitable Trust. Funding is also provided by PBS and public television viewers. PBS International, the worldwide co-production and distribution arm of PBS Distribution, will distribute AMERICAN EPIC to broadcasters and media companies worldwide. For more information on the overall initiative visit www.americanepic.com. For information specifically about the documentary series and recording studio film visit www.pbs.org/americanepic. The social media hashtag is #AmericanEpic. AMERICAN EPIC is a production of Lo-Max Films, BBC Arena, Wildwood Enterprises and THIRTEEN PRODUCTIONS LLC for WNET. Director: Bernard MacMahon. Writers: Bernard MacMahon, Allison McGourty, Duke Erikson. Producers: Allison McGourty, Bernard MacMahon, Duke Erikson, Bill Holderman. Executive Producers: T Bone Burnett, Robert Redford, Jack White, Anthony Wall for the BBC, Julie Anderson for WNET, Stephen Segaller is Executive in Charge for WNET. Bill Gardner, VP Programming & Development oversees the project for PBS. Celebrating its 40th anniversary this year, Arena is the world's longest running arts documentary strand. Anthony Wall has been a director since 1978 and series editor, succeeding Alan Yentob, since 1985. Arena is dedicated to arts and culture high and low, from Visconti to Hip Hop, from Dylan and The Beatles to Nelson Mandela. In 2000, Arena was given the Special Medallion at the Telluride Film Festival for its contribution to "cutting edge film making". It was there that Werner Herzog, a fellow medallion recipient, declared Arena to be "the oasis in the sea of insanity that is television." Other awards include the Prix Italia, Primetime and International Emmys, the Peabody, nine BAFTAS and twenty five nominations, six Royal Televsion Society awards and numerous honours from all over the globe. Lo-Max, founded in 2003 by Allision McGourty, Bernard MacMahon and Duke Erikson is a film and music production company based in London, UK and Santa Monica, California. It handles the direction, screenwriting, editing and music composition for the American Epic series. It has compiled the music releases and developed the innovative audio transfers and restoration on the archival titles. Sony Music’s Legacy Recordings, the catalog division of Sony Music Entertainment, is home to the world's foremost library of historically significant commercial recordings, a peerless collection of works by the most important musical artists of the 19th, 20th and 21st centuries. Across a variety of platforms, the label offers contemporary music fans access to thousands of meticulously restored and remastered archival titles representing virtually every musical genre including popular, rock, jazz, blues, R&B, folk, country, gospel, Broadway musicals, movie soundtracks, rap/hip-hop, world music, classical, comedy and more.